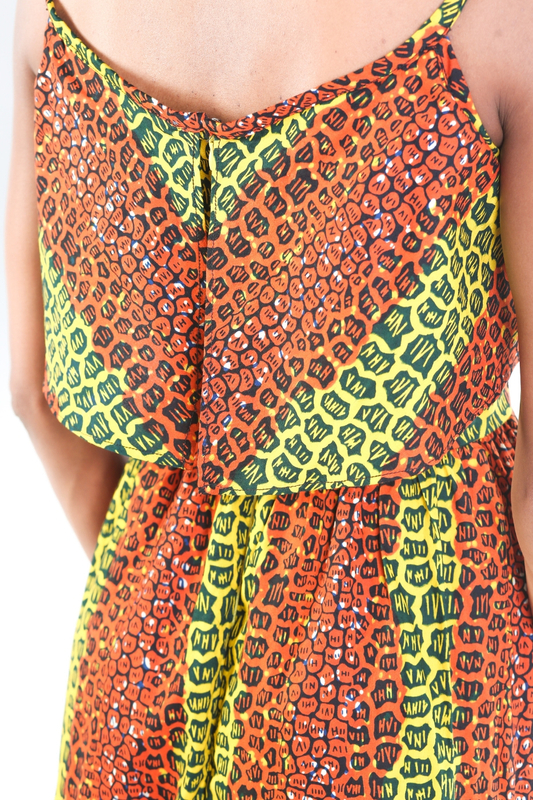 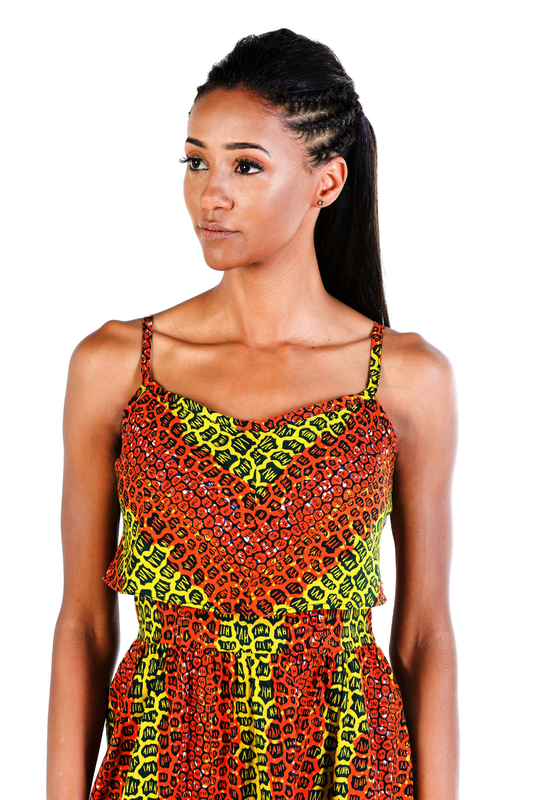 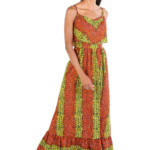 Boho Ankara Style Maxi Dress which features a double layered bodice and a deep frilled hem. 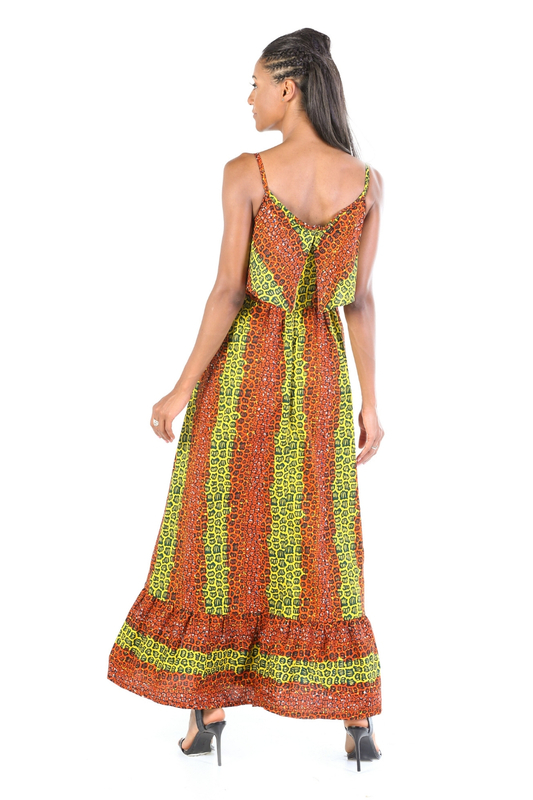 The thin strap detail adds a feminine touch. 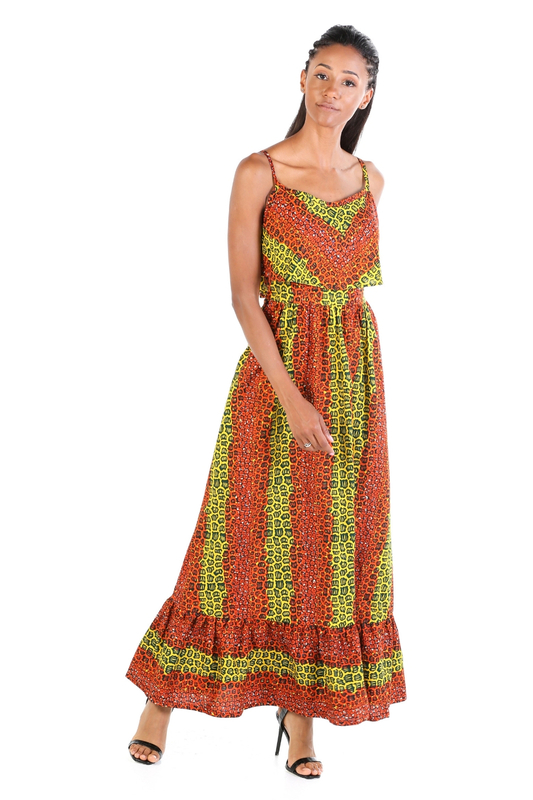 And the gathered waistline compliments the female form with a fit and flare silhouette.